Title: Huge U.S. Naval Strike Forces Now In Place Off Coast of Iran! Subtitle: Is President Bush about to attack Iran with air, naval, and ground forces? He has certainly amassed the naval forces which such a attack would require; however, remember that an American attack on Iran's nuclear facilities is not the "slam dunk" which many people assume it would be. We demonstrate how this is true in this most insightful article. Is this the "October Surprise" which Karl Rove has been promising the Republican faithful? "Tuesday, Oct. 17, the Iwo Jima Expeditionary Strike Group steamed into the Persian Gulf to join the US naval, air and marine concentration piling up opposite Iran’s shores. It consists of the amphibious transport dock USS Nashville, the guided-missile destroyers USS Cole and USS Bulkeley, the guided-missile cruiser USS Philippine Sea, the attack submarine USS Albuquerque, and the dock landing ship USS Whidbey Island." "The Iwo Jima group is now cruising 60 km from Kuwait off Iran’s coast. As DEBKAfile and DEBKA-Net-Weekly reported exclusively two weeks ago, three US naval task forces will be in place opposite Iran in the Persian Gulf and Arabian Sea by October 21. The other two are the USS Eisenhower Carrier Strike Group and the USS Enterprise Strike Group." 1) What is an "Expeditionary Strike Group"? Most people have no good idea what such a force is, nor what its capabilities might be. Let us examine an article by Global Security; prepare to be surprised. "The Expeditionary Strike Group — sometimes called an Expeditionary Strike Force — is a revamped amphibious ready group with the ability to disperse strike capabilities across a greater range of the force, increasing the striking power in the amphibious ready group." "The new mix, which deploys in place of the amphibious ready group, allows Navy and Marine Corps forces to launch Marines and landing craft as warships and submarines strike inland targets with missiles and shells." Does the inclusion of "Expeditionary Strike Group" capability mean that the attack plan which President Bush may have authorized against Iran includes landing Marines -- probably against selected targets as commandos? Such a conclusion is always hinted at just by knowing the type of forces being arrayed against you, but until the attack actually begins, such a conclusion is, at best, only an educated guess. This article in Global Security shows an excellent colored graphic which depicts exactly the kinds of ships, aircraft, and Marine capability. Please study it carefully. Now, let us return to this Global Security for more pertinent information. "An expeditionary strike group could include amphibious ships, a destroyer, cruiser, frigate, attack submarine and a P-3C Orion land-based aircraft. The new mix, which deploys in place of the amphibious ready group, allows Navy and Marine Corps forces to launch Marines and landing craft as warships and submarines strike inland targets with missiles and shells. Currently, each amphibious ready group is made up of an amphibious assault ship, a dock landing ship and an amphibious transport dock. Cruisers and destroyers deploy with carrier battle groups." The fact that President Bush now has an Expeditionary Strike Force on duty with two complete aircraft carrier groups strongly hints that he plans to attack Iran by air and by ground (perhaps just Marine commando raids). Persia is foretold in Ezekiel 38-39 as being one of the countries which will march against Israel in the Latter Days, under the leadership of Russia. The government in control at that time has to be anti-West and anti-Israel, precisely as it is today. If President Bush successfully overthrows the present regime, he will institute a puppet government just as he has done in Iraq; this government will be pro-Israel and pro-West. Therefore, we expect that current Iranian government is protected by the prophecy of Ezekiel 38-39 from being overthrown; we may attack their facilities, but it seems to us that the government will be protected from actually being overthrown. What has taken us by surprise is the intensity of the forces which have driven Iran into the Russian camp, as she seeks protection from America's sophisticated weaponry. Further, since the prophecy says that Gomer (European nations) is marching with Russia; therefore, American pressure on Iran is resulting in forcing together three major elements of this prophecy: Iran (Persia), Russia, Europe (Gomer). 2) On April 12, 2003, Russia's Putin warned President Bush that he would not allow any more military strikes, invasions and/or "Regime Changes" in the Middle East. Were America to successfully attack Iran, Russian influence would be totally destroyed. "On April 12, 2003, just days after Coalition Forces had taken Baghdad, Russian President Putin strode to a podium and drew a huge line in the sand against President Bush. No more, said Putin, no more will we allow you to invade a country and achieve a "Regime Change". With the Presidents of Germany and France behind him, Putin told President Bush to back off. At the time, we wondered how a great power like Russia would back up its bravado with action, in order to keep America from taking action which would relegate Russia to backwater status. Now, we may be seeing how President Putin was planning to back up his demand. Let us begin with the original news story. Notice the terminology which Russian President Putin used against Bush: "No strike on other countries". Obviously, this powerful American naval and air armada now patrolling just off Iran's coast looks as though President Bush intends to order a strike against Iranian targets -- exactly the type of action Putin said he would not allow. Since Russia has jumped strongly and boldly to Iran's defense with her most advanced hardware, if any Western military force successfully penetrated Russian air defense systems protecting Iran, no leader named in the Ezekiel 38-39 prophecies would trust that Russian technology could defeat Israeli technology, and the prophecies of the Russian-led attack on Israel would founder and die. Obviously, every single prophecy will occur just as the Bible states; therefore, the Ezekiel 38-39 prophecy protects Russian military reputation as much as it protects Iran from this type of attack. 3) Russia can back up her bold warnings against American attack because she possesses the vastly superior Scalar Weapons system. 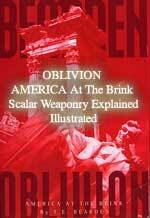 Quoting pertinent excerpts from our major article on this subject, "
In this article, we shall speak of one such weapons system: Scalar weapons technology. We shall take much of our information from Lt. Colonel Thomas E. Bearden, writing in his book, Oblivion, pictured at the left. "So-called Imperial America very probably does not have the means to back up it´s various attempts to control the world. We are weaker now than we have ever been. Bush´s bravado is empty, and even if we do have the Tesla howitzer, so do Russia and China, and Russia has had scalar EM weapons longer--long enough to have tried and tested various forms of them many times. But although we evidently do have some HAARP powered weapons, physicist LTC Thomas Beardon says we don´t have much, if any, and our scalar weaponry is not yet ready to deploy effectively ...."
"If attacked, our ground forces will be as vulnerable as sitting ducks, out on the hot sandy desert with no place to hide. America´s cities and outmoded ABM systems will not protect us. 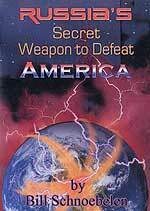 If we attack Iraq, which now seems inevitable, we can expect to be attacked on all sides, with nuclear bombs, neutron bombs, EMPs, and the longitudinal electromagnetic interferometer waves that will come down upon us as fire from heaven. America will burn ..."
If she so desires, Russia can protect Iranian targets through her superior Scalar bubble shield called the Tesla Dome, either over huge target areas or over much smaller areas like individual tanks. While America's HAARP system can erect a Tesla Dome, such a dome is easily penetrated and destroyed by the Scalar Waves. Read NEWS1776 to see how the Russians could erect a Tesla Dome over an entire city. Read NEWS2155 to see how the Israelis are using Scalar Technology to erect Tesla Domes around their tanks, shields which can be instantly erected when radar detects an oncoming projectile and instantly dissolves once the projectile is destroyed. Russia can protect Iran's nuclear facilities very easily and completely effectively. No missile, no aircraft, and no helicopter can even penetrate such a Tesla Dome. 4) American war games just one year ago showed that inherent weaknesses in American radar could doom our naval forces in a conflict with inferior forces. An attack on Iranian nuclear facilities may not be the "slam dunk" many are predicting. American war games conducted just a little over one year ago demonstrate inherent naval weaknesses not easily or quickly corrected. Quoting pertinent excerpts from our article NEWS2026, "16 U.S. NAVAL SHIPS AT THE BOTTOM OF THE PERSIAN GULF! INCLUDES ONE AIRCRAFT CARRIER DESTROYED -- Recent War Games Disaster"
"During the summer of 2002, in the run-up to President Bush's invasion of Iraq, the US military staged the most elaborate and expensive war games ever conceived. Operation Millennium Challenge, as it was called, cost some $250 million, and required two years of planning ... it was set in the Persian Gulf, and simulated a conflict with a hypothetical rogue state. The "war" involved heavy use of computers, and was also played out in the field by 13,500 US troops, at 17 different locations and 9 live-force training sites. All of the services participated under a single joint command, known as JOINTFOR. The US forces were designated as 'Force Blue', and the enemy as OPFOR, or 'Force Red'. The 'war' lasted three weeks and ended with the overthrow of the dictatorial regime on August 15." "At any rate, that was the official outcome. What actually happened was quite different, and ought to serve up a warning about the grave peril the world will face if the US should become embroiled in a widening conflict in the region ..."
The tactics adopted by this Marine Corps general were astounding and they produced "The Worst US Naval Disaster Since Pearl Harbor". "But Van Riper made the most of weakness. Instead of trying to compete directly with Force Blue, he utilized ingenious low-tech alternatives. Crucially, he prevented the stronger US force from eavesdropping on his communications by foregoing the use of radio transmissions. Van Riper relied on couriers instead to stay in touch with his field officers ... At every turn, the wily Van Riper did the unexpected. And in the process he managed to achieve an asymmetric advantage ... Astutely and very covertly, Van Riper armed his civilian marine craft and deployed them near the US fleet, which never expected an attack from small pleasure boats ... Force Red's prop-driven aircraft suddenly were swarming around the US warships, making Kamikaze dives. Some of the pleasure boats made suicide attacks. Others fired Silkworm cruise missiles from close range, and sunk a carrier, the largest ship in the US fleet, along with two helicopter-carriers loaded with marines ... the Navy was unprepared. When it was over, most of the US fleet had been destroyed. Sixteen US warships lay on the bottom, and the rest were in disarray. Thousands of American sailors were dead, dying, or wounded. Clearly, this war games disaster was something the Pentagon could not have foreseen. Publicly, Pentagon spokesmen admitted of no disaster, since, in war gaming, destroyed equipment and dead sailors can be "resurrected" at the touch of a keyboard. At the end, the government of the rogue state was overthrown and victory achieved -- but only after General Van Riper quit in disgust. But, you may argue, surely they knew better internally and were working madly to change tactics so they would not have this kind of real disaster, from a real enemy, who can really kill our sailors and marines. You may be right, except for the fact that most of the reasons for this disaster are systemic and cannot be easily or quickly corrected. How can this be? The first problem is that the Navy has heavily invested in equipment which does not work effectively in close-in places like the Persian Gulf. In other words, our Navy was created, and equipped, to fight a blue-water enemy out in the open ocean, and is very vulnerable to a determined close-in enemy using unconventional tactics. Listen as this article explains this terrible reality. As the interview with General Kernan continued, he kept talking about the Navy operating "over-the-horizon", which is fine if you are fighting the blue-water Russian navy in the open ocean; however, if the US Navy is fighting an Iranian force of quick, mobile fighting ships and boats, and aircraft, all of which are equipped with Russian-made supersonic missiles, losses are likely to be staggering, just as this war simulation demonstrated. It seems that the only way in which the American navy could logically attack Iranian targets is to stand far enough off-shore that the Iranian small boats and the Russian-made supersonic ship-to-ship missiles (Read NEWS1449) could not reach them. We shall just have to wait how all these events transpire. 5) Iran's targets are deeply buried and widely dispersed. Listen to the boasts of an Iranian top commander in Iran’s elite Islamic Revolutionary Guards Corps, because his facts were recently validated by an American general. "Tehran, Iran, Jan. 15 – A top commander in Iran’s elite Islamic Revolutionary Guards Corps (IRGC) said on Sunday that the Islamic Republic has more than 300 nuclear sites scattered across the country .. The senior IRGC commander said that despite the high costs of construction and maintenance of nuclear sites, these installations have been dispersed in more than 300 sites across the country." Additionally, many of these 300 nuclear facilities are buried deeply underground, making their elimination very difficult, even if Russia chose not to defend Iranian targets with her Scalar Weaponry. American commanders are well aware of the limitations and difficulties of such an attack. Let us examine remarks recently made by a top American commander, admitting that US forces would have a very difficult time attacking and destroying Iran's facilities. "LONDON, September 20 (IranMania) - According to an AFP report, Tehran has the most powerful military in the Middle East, but is relying on unconventional means to counter superior US military might in the region, a top US commander said. General John Abizaid, chief of the US Central Command, refused to discuss US military planning in response to a mounting confrontation with Iran over its nuclear program." "... the commander of US forces in the region laid out capabilities Iran has that US military planners must reckon with." "Number One, they have naval capacity to temporarily block the Straits of Hormuz, and interfere with global commerce if they should choose to do so," Abizaid said. About 40% of the world's oil transits through the straits at the entrance to the Gulf. Shutting it down would cause world prices to skyrocket..."
In fact, the economies of the Western world -- beginning with the American -- would instantly collapse. While such a collapse is planned, it is not to occur before the beginning of the World War III which will produce Antichrist. That war seems to be some distance in the future, so it would seem that Bush cannot afford to launch an attack which would precipitate such a collapse ahead of schedule. "Number Two, they've got a substantial missile force that can do a lot of damage to our friends and partners in the region"
"Number Three, they have a pretty robust terrorist surrogate arm that could in the event of hostilities cause problems not only in the Middle East but globally." Iran has constantly threatened to activate a world-wide terrorist attacks within American should she be attacked. Remember the response of Iranian leadership to the troubles the Federal Government experienced in the aftermath of Hurricane Katrina?In NEWS2074, entitled, "IRAN'S LEADERSHIP THREATENS THE U.S. WITH DEVASTATION, SAYING THEY LEARNED VALUABLE STRATEGIC LESSONS FROM THE GOVERNMENT RESPONSE TO HURRICANE KATRINA", we reported that the Iranian leadership noted the bungling and incompetence of the Federal Government in the Katrina aftermath, and learned exactly in what areas the government was vulnerable. Do not be deceived: Iran controls much of the world's Islamic terrorist cells, and will hit hard if we attack her nuclear facilities. "... Number Four, they have a very substantial land army that, while it's not offensively worrying, is certainly capable of conducting asymmetric warfare." We could not have stated the matter more clearly or more succinctly ourselves! This top commander has just revealed that the Bush Administration is well aware of the risks of attacking Iran's nuclear facilities well before any attack gets underway; therefore, if President Bush does order an attack from these massive naval units now steaming off Iran's shore, and if our forces are mauled as badly as they were battered in the War Games of April, 2005, the discrediting of the President and the defeat of his party in these upcoming elections would be complete. But, you know, as I think of this possibility, it seems like this might be the only reason this attack might go forward -- to discredit President Bush with a significant defeat just days before the election! We shall have to wait to see how this "Rumors of War" turns out, but at the very least, such an attack would not result in the overthrow of the current hardline regime in Tehran. 7) This entire crisis is sheer propaganda, and every Western leader knows it. We would like to end our discussion here. During all this huffing and puffing during the past five years, American leadership knows that Iran already possesses nuclear bombs and the capacity to deliver them. It seems clear that Iran purchased her nuclear bombs "off-the-shelf" from Pakistan in the late 1990's and the missiles from North Korea. Remember our oft-quoted remark from a Russian general in mid-2002, as he admitted that Iran possessed nuclear bombs. 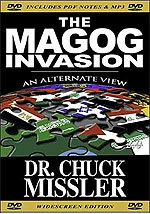 Quoting excerpts from NEWS1660, "MUSHROOM CLOUDS IN THE MIDDLE EAST? Part 2"
"A Russian general's statement about Iran's nukes fails to register with media. Sometime a slip of the tongue is so incredible that no amount of doctoring can explain it. And sometimes a slip of the tongue is as intentional as could be. Take an appearance by Russian Deputy Chief of Staff Gen. Yuri Baluyevsky. He gave a briefing on Friday in Moscow during the Bush-Putin summit and was asked about whether Iran actually fired the Shihab-3 intermediate-range missile in a successful test earlier this month. The second question was whether Iran can threaten Israel, Russia or the United States with its nuclear and missile programs. Then the Russian general takes a surprise turn: 'Now, as to whether or not Iran has tested something like that. Iran does have nuclear weapons,' Baluyevsky said. 'Of course, these are non-strategic nuclear weapons. I mean these are not ICBMs with a range of more than 5,500 kilometers and more." Now this is shocking news, indeed! This Russian general has just confirmed that Iran has nuclear warheads and theater missiles with which to deliver them! And, he seems not to be concerned because these warheads cannot yet hit Russian soil. If Iran has nuclear weapons and the missile capability with which to deliver them to Israeli targets, then the entire calculation of military balance in the Middle East may just have changed." Please read this article carefully, because it reveals that Saudi Arabia also has purchased nuclear warheads from Pakistan because she "does not want to get caught as the only major power in the Persian Gulf without nuclear weapons and missiles." Therefore, this entire drumbeat is sheer propaganda -- part of the Illuminati Plan. Therefore, since President Bush, Vice President Cheney, and Defense Secretary Rumsfeld are simply and only acting out their scripted parts in this global plan, we know they are not going to "go off half-cocked". 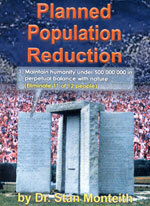 Iran will be attacked only if the Illuminati Plan and Bible prophecy allows it. However, President Bush is certainly accomplishing one other huge prophetic goal by threatening Iran incessantly and by sending such a huge armada of naval power to steam off her shores: she is driving Iran further and further into the arms of the Russian Bear. Once the Russia Bear delivers Iran from the clutches of the American Eagle, Iranian leadership will be tightly tied to the Russian plan -- including the plan to lead an invading force against Israel (Ezekiel 38-39). Please take a moment to read our article on this subject: NEWS2014, "PRESIDENT BUSH SEEMS TO BE DRIVING IRAN (PERSIA) INTO THE ARMS OF RUSSIA AND EUROPE, JUST AS PROPHECY FORETELLS!" We shall have to wait to see how this scenario plays out. Is it "War" or just "Rumors of War"? For the past 3 1/2 years, this situation has proven to be just "Rumors of War", but there is a possibility that it could turn into "War". Are you spiritually ready either way? Is your family? Are you adequately protecting your loved ones? This is the reason for this ministry, to enable you to first understand the peril facing you, and then help you develop strategies to warn and protect your loved ones. Once you have been thoroughly trained, you can also use your knowledge as a means to open the door of discussion with an unsaved person. I have been able to use it many times, and have seen people come to Jesus Christ as a result. These perilous times are also a time when we can reach many souls for Jesus Christ, making an eternal difference.